Whether you are one of our neighbors or just in town for the day, stop by to find a gift or memento of your visit that reflects our unique region. 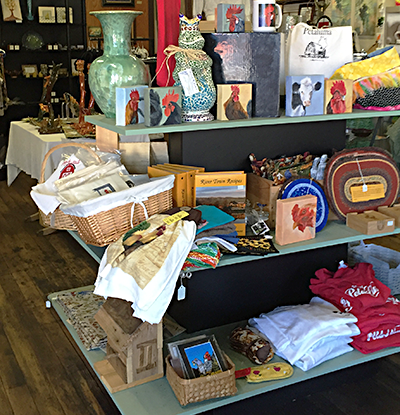 The Petaluma Store features an eclectic variety of beautiful and functional objects by local artists and artisans. 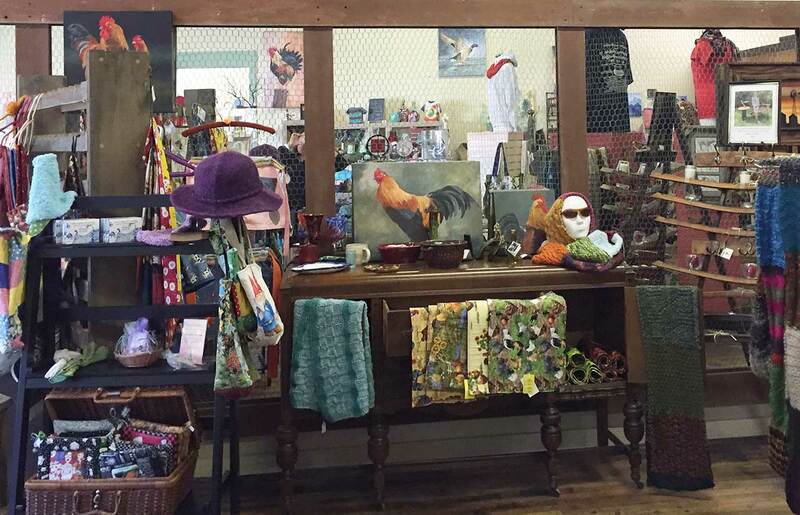 You’ll find cute chickens, quirky cows and little hippy-dippy tie dyed shirts among all the hand-crafted and one-of-a-kind textiles, objects of glass, ceramic, metal, wood and glass created by local artists and artisans. There are lots of original oil paintings, photography and artisanal snacks. 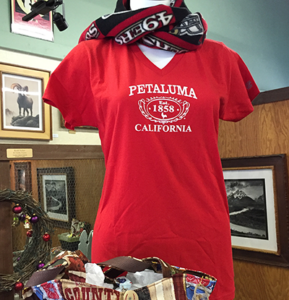 We carry a variety of Petaluma branded sweatshirts, hoodies, mugs, key tags, pens, coasters, tea towels, magnets, postcards and greeting cards in the Petaluma Store. Click the button below to browse our online selections. Contact us to learn about additional colors and sizes or to inquire about large orders.